Strategic Estimate is Khilafah.com’s annual assessment of the global balance of power. In our assessment of 2016, we concluded the US remained the world superpower and maintains a balance around the world which protects America’s array of strategic interests. Reality TV personality, billionaire and for the first time in a political office – Donald John Trump was inaugurated as the 45th president of the United States of America in 2017. Trump ran for office on a campaign of retrenchment – America first, with a host of populist positions that included ending US wars, renegotiating political and economic agreements and changing relations with both China and Russia. 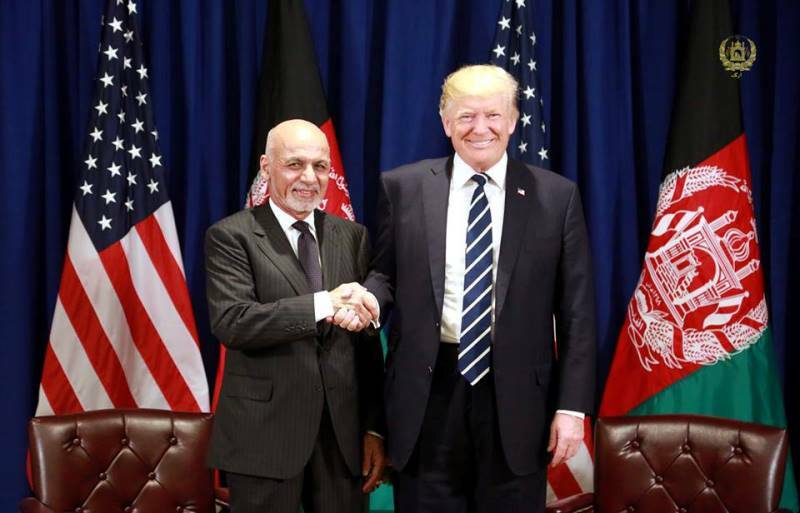 Trump’s first and probably America’s most strategic issue was dealing with what is now America’s longest ever war, now 17 years in Afghanistan. Trump revealed a new plan; in Strategic Estimate 2018 we assess this strategy. Trump has also been busy with North Korea with much bluster and threats against its nuclear program; in Strategic Estimate 2018 we assess where the stand-off is and its implications. The US has persisted in shaping conflicts within Ukraine, Libya, the South China Seas, Syria and Iraq albeit with mixed success; we assess what this means for America’s position as the global hegemon. In 2017 Russia worked to insert itself into a number of international arenas including ones where the US is active. From Libya to Syria to Afghanistan in 2017 Russia utilised a hybrid strategy of presenting itself as a global player who should be taken seriously. In Strategic Estimate 2018 we assess how successful Russia has been in these attempts and what this means for the global balance of power. Putin has now been in power for two decades. He has constructed a system which has seen competing powers within Russia balanced by his statecraft and has adapted to potential threats against his continued rule. But opposition to Putin’s rule is growing and in 2017 the Kremlin began laying the architecture that will keep the security establishment in power with elections due in 2018. 2017 saw China gear up for its 19th Party Congress, which takes place every five years. The summit assessed the countries performance since the previous conference and set goals for the country’s political, economic and diplomatic future. China stands at a critical juncture in its three decades long development. Its strategy of managing the next phase of its development, the election of various committees and retiring of many politicians as well as the position of Chinese premier Xi Jinping all took place in 2017. What these all mean and their implication are assessed in Strategic Estimate 2018. Old rivals China and India stood off at 14,000 feet above sea level in the perpetually harsh climate of the Doklam Plateau in the Himalayas. Both countries are considered growing powers and have a long history of disputes and wars, despite the increase in trade relations in the last few decades. The dispute showed once again that old rivalries and claims have not been forgotten and remain central to both nations. Strategic Estimate 2018 analyses the conflict and what it means in the region. 2017’s elections in key EU countries such as Germany, France and the Netherlands brought the bloc’s political processes to a standstill. Once the elections were over, reform of the union has gained full speed as the union suffers from various challenges looking to split from the union. But the discussions of reform highlighted once again the fundamental differences among European Union members. Catalonia’s attempt to separate from Spain once again highlighted the problems at the centre of Europe as regions within nations look to breakaway. 2017 marked a decade from the beginning of the global economic crisis. Many of the underlying problems that caused the crisis are still with us today whilst the financial practices that caused much of the crisis have reappeared under different names and guises. Like much of the past decade, protectionism continued to manifest in trade, investment and technology relationships across the global economy. The US leads the charge with the renegotiation of NAFTA. Strategic Estimate 2018 analyses what impact this will have on the global economy as well as the policies that have evolved due to the global economic crisis. North Korea was in the headlines once again in 2017. The rhetoric from both the US and North Korea increased quite dramatically throughout 2017 with both countries threatening to bomb the other back to the Stone Age. North Korea tested its nuclear weapons and ballistic missiles, including an Intercontinental Ballistic Missile (ICBM). The narrative is that a hermit runs a secret police state in North Korea who is ferocious, weak and crazy, all at the same time. Kim Jong-un, like his father and grandfather before him is considered to be holding the world to ransom by building a nuclear weapon, and he must be stopped. As North Korea is not integrated into the global economy it has no way to influence the narrative being defined for it. For this reason Strategic Estimate 2018 has chosen North Korea as 2018’s nation to profile. The position of the US as the global power is now seriously in question. Surveys, reports and thinkers from across the political spectrum view the US as a power in decline. With the rise of both China and Russia it is undeniable that the US faces its most significant challenge to its position as the global power since the collapse of the Soviet Union. In Strategic Estimate 2018 we assess the sources of US power, their status and the challenges being posed to America by its rivals. What follows’ in sha Allah is the author’s opinion and assessment of 2017 and the trends for 2018 and beyond. Like any assessment, they are estimates and forecasts.